Projector Square is among the leading suppliers of high-grade projectors in Doha, Qatar. We have formed associations with reputed manufacturers, distributors and dealers and hence are able to provide top-notch quality products at a cost-effective price to the customers. We make an earnest effort to make the customers of Doha, Qatar happy. Customers can buy some of the best brands of projectors like Acer, Konktel, BenQ, InFocus, Lumens, Promethean, Panasonic, Rico, Casio etc. from us. Buy from a wide variety of brands and models from our online store. You can be assured of buying only genuine products from our shop. Being one of the top suppliers, we do not offer any low-grade projectors of imitation brands. 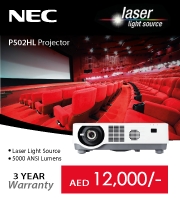 Having partnered with reputed distributors, dealers and manufacturers, we offer unmatched quality projector units at an economical price at our online portal. We provide warranty and brilliant customer service support to our customers. 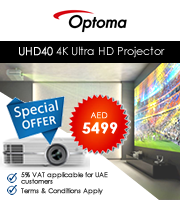 Buy online projectors in Doha from our shop from some of the top brands. We offer a wide array of projector units for home theatre, LED/ laser, interactive and much more. Buy projector Qatar from Projector Square and be assured of getting high-quality products at a fair price along with good warranty and after sales customer service support. Contact us for more details and we would be happy to assist you.